We have arrived at the breakdown of actors and actresses in my review of the year, and this year more than ever there seem to be great performances on this list that have been in the service of less than stellar films. When you look at the big award nominations, the acting awards and the best picture nominations aren’t normally too far removed from each other, but in my list this year at most fifteen of these performances will be in films that feature in the final top 40. Of course, there’s no reason why good actors shouldn’t appear in average, or even bad, films but in most cases on this list it’s the actors being let down by their scripts. I can’t think of many instances of great scripts being played out by bad actors, so clearly it’s easier to get your film funded with a decent name or two attached than it is to get the script right first. There isn’t as much talk as there used to be about actors’ salaries these days, but few of the names on this list will be commanding top dollar anyway (although two at almost opposite ends of the list will be in Star Wars next year – what odds one of them reappearing for that in twelve months?). Anyway, usual rules apply: all lengths of performance are considered equally and there is no distinction between actor and actress here. For the record, I have 14 men and 11 women on this year’s list, but in the top 10 it’s 6-4 the other way. And only one person per film; there are two or three instances where this rule has excluded great efforts, but I will endeavour to give them an honourable mention as I go. So here’s my fourth annual list of my favourite 25 performances of the year. In the end I couldn’t pick between Leo and Matthew in The Wolf Of Wall Street, but if this list ran to 26 one of them would probably have been on it. Them’s the breaks. Part of what I love about Oscar Isaac is his chameleon-like ability to blend in completely with his surroundings. I wonder how many people would associate him with his role in Drive having seen this? He’s also shown his versatility in The Two Faces Of January in 2014, proving that he’s got charm to spare, but exasperation was his best mood this year. 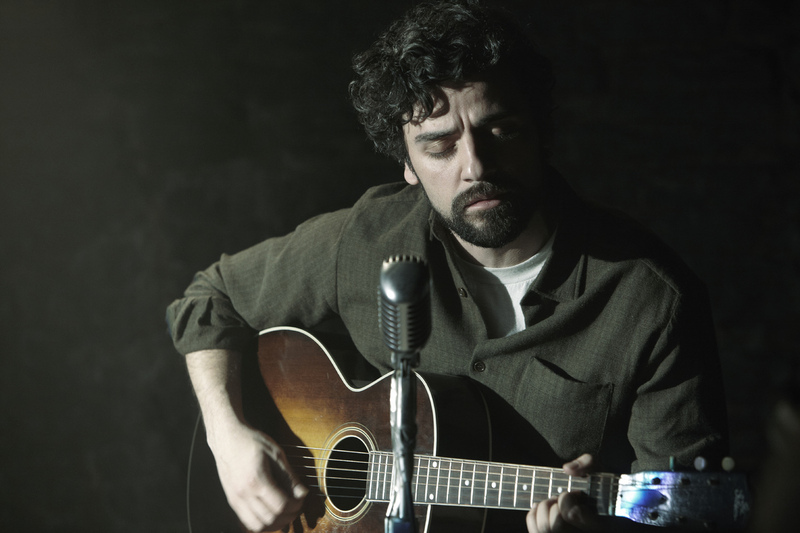 Not only does he fit in perfectly with the ranks of other downtrodden Coen leads, but his musical skills are also brought beautifully to the fore. Someone get this man a moody musical. 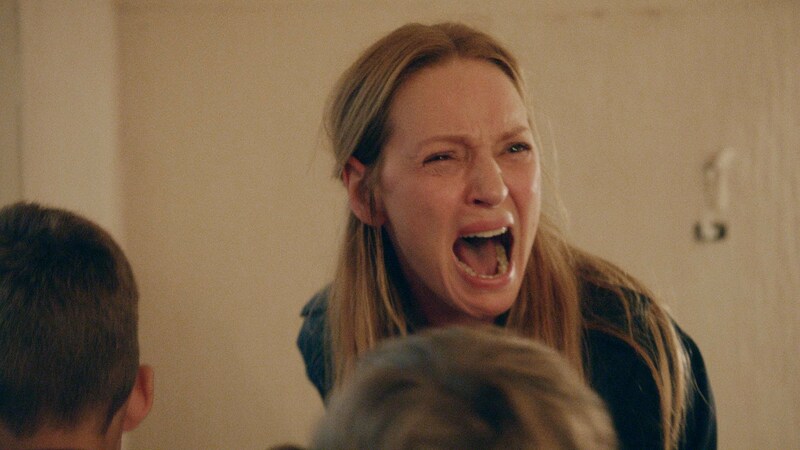 She may be on screen for only a few minutes, but Uma Thurman is the best thing in Lars Von Trier’s patience tester (although at least this was one four hour epic we got an interval in this year). I’m sure there’s some wish fulfilment of some embittered soul somewhere in that performance, but Thurman lights up the screen in a thoroughly entertaining cameo. Also, I don’t have awards for least best acting, but if I did a strong contender would be someone in this film whose name rhymes with Friar LeSmurf. By contrast, this three hour and ten minute latest from Turkish director Nuri Bilge Ceylan is intermission free, and consists greatly of people talking calmly to each other in dark rooms. You need someone who’s going to keep your attention for that to work, and Bilginer’s sheer magnetism does just that, even allowing for his world-weariness that lays over the top. 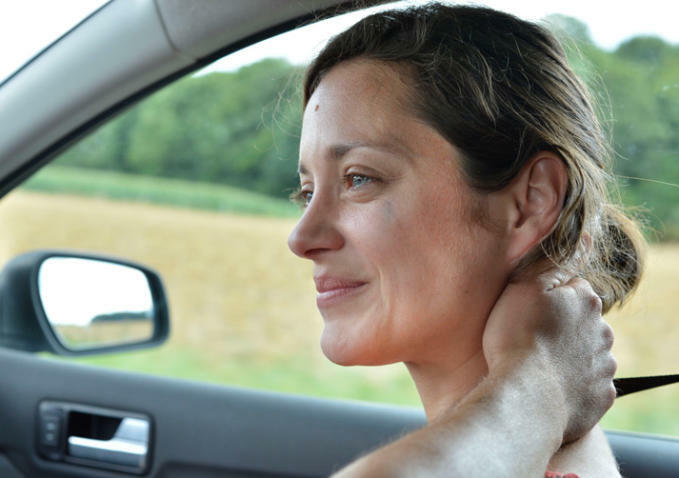 A mention must also go to his on-screen wife Melisa Sözen who has a couple of very powerful scenes in the last half hour. 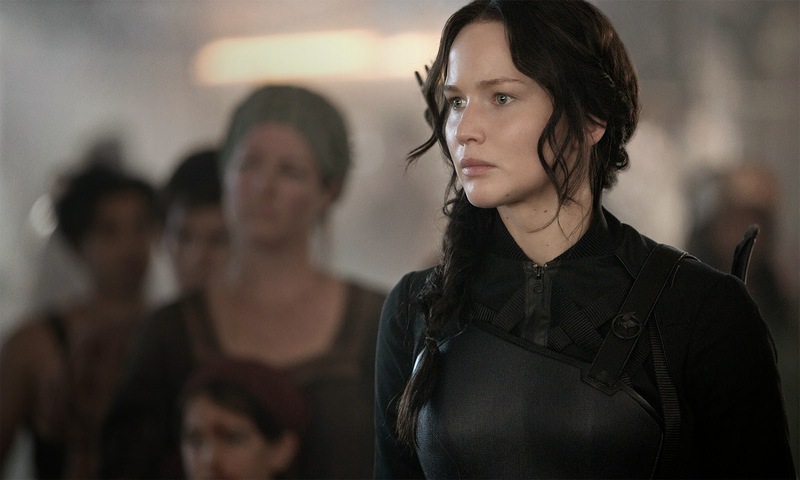 To think that there were the usual silly doubts when the Hunger Games franchise began that Jennifer Lawrence wasn’t right for Katniss; too old, dyeing her hair, wrong star sign, that sort of thing. While the casting is generally stellar this just wouldn’t have worked as a franchise without Lawrence, and to her credit she’s given the same level of committed performance in both her blockbuster roles this year that she has to her more serious endeavours. It’s great to see someone who, in behind the scenes footage, clearly has such a love for her craft and that passion is on screen for all to see. Gleeson has now teamed up twice with John Michael McDonogh and the results have been great both times. 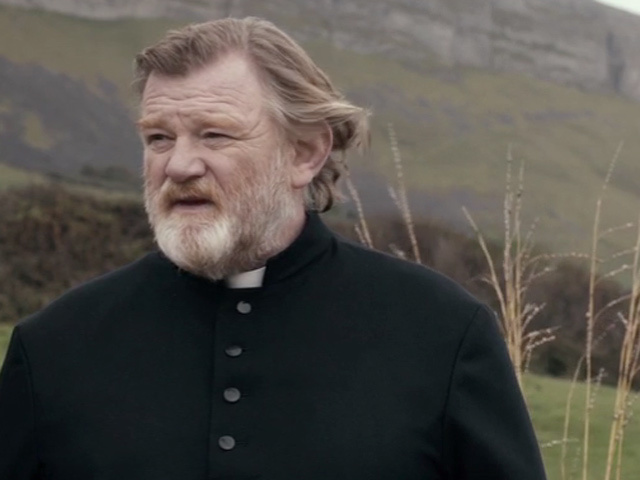 While Brendan Gleeson was sardonic and dismissive in The Guard, here he’s required to give a different level of performance and in both films Gleeson’s performance has crucially underpinned the overall tone. McDonogh isn’t afraid to deal with weighty themes and what humour there is happens to be dry as a bone and black as a starless night but, for all his sins and those of his church, you still find yourself rooting for this non-stereotypical priest. It would be remiss of me not to mention Kelly Reilly as his daughter who’s also putting in a performance as good as anything she’s done. I could make cheap jokes about Deladonchamps’ performance being stripped bare – and if you want cheap jokes, you’ve normally come to the right place – but Stranger By The Lake pulls off the difficult balancing act of being both a taut Hitckcockian thriller and an honest assessment of male frailty and psychology. Leave your modesty at the door and you’ll be firmly gripped (stop it) by a performance which is one of the most unhindered of the year, regardless of the state of dress of many of the participants. 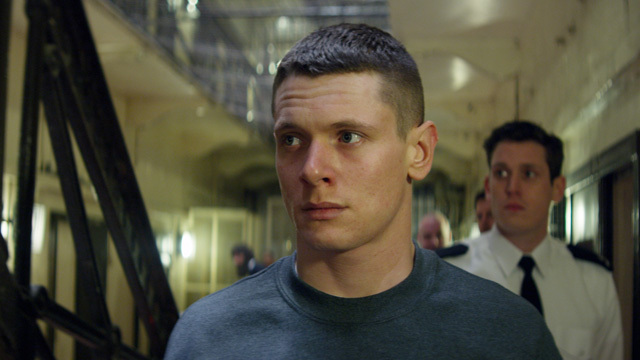 It’s been a great year for Jack O’Connell but his best role may also have been his first, the British prison drama which skipped around the clichés to feel fresh and relevant. O’Connell has a set of facial expressions well suited to defiance and a demeanour to match, but he’s shown in all of his performances this year that he can do subtle in spades and his fractious relationship with estranged father Ben Mendelssohn gives both actors plenty to work with. With two Hollywood roles under his belt this year already, expect O’Connell to be a star of the future. It’s difficult to pick a winner from the performance stakes in Boyhood, but possibly thanks to his experience in the Before trilogy it was Ethan Hawke that most caught my eye. Over the twelve year span of the film his character goes through as much of an evolution as anyone, from cocksure and unreliable to steady and dependable, but he does so in believable steps; that can have been no easy feat considering the nature of the filming process. The four leads are all great, so apologies to Ellar Coltrane, Lorelei Linklater and especially Patricia Arquette that I only pick one performance per film. 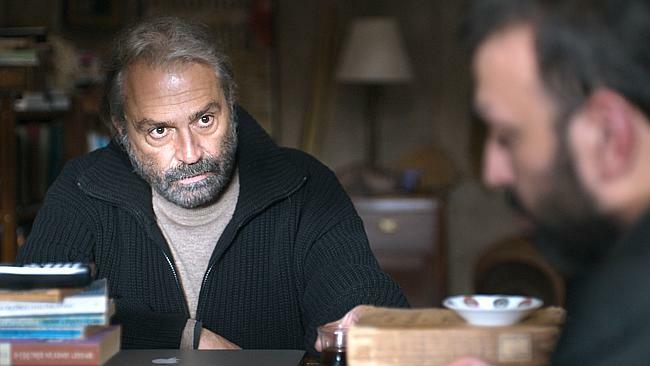 I’ve become a real fan of Asghar Farhadi’s work over the past few years, and while The Past didn’t quite hit the heights of A Separation or About Elly, it wasn’t far off at all. This was the first time he’s worked with such an international cast but this felt comfortably and with deep familiarity a Farhadi film, and Bejo proved that she’s not just a silent face with a performance the polar opposite of her appearance in The Artist. For some reason this film seemed to slip below the awards radar, but Bejo’s performance is up there with anything in Farhadi’s back catalogue. I struggled greatly with parts of this biopic of the troubled artist, but that shouldn’t take away from Juliette Binoche’s work as the titular artist. Many of my problems with the film relate to later stretches when the film becomes dry and airless while searching for resolution, but coincidentally this is also when Binoche happens to be off screen. 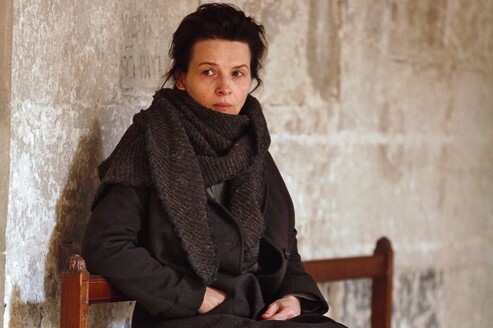 It would be easy to overdo the theatricality of a role dealing with mental illness, but to Binoche’s great credit she’s far more astute than that. A shame, then, that the film isn’t quite the equal of what she brings to it. The biggest problem with St. Vincent as a film is that it doesn’t have any gear shifts: it has a consistent, level tone despite the extreme ups and downs endured by its characters when it would be better suited with an ability to swing more closely to the comedic and dramatic aspects of its script. 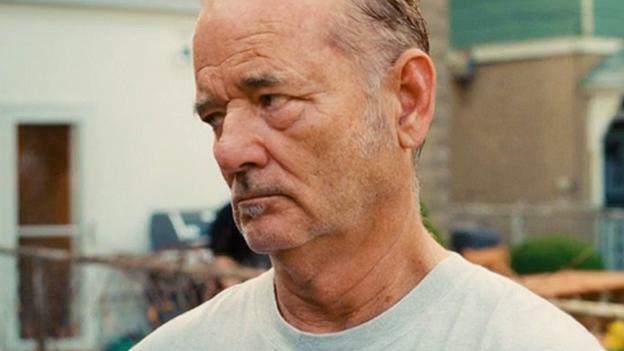 That’s highlighted in Bill Murray’s performance, which defines irascible but also asks a lot of Murray with a huge back story and physical afflictions as the story progresses. It’s nice to see Melissa McCarthy dialling back her performance to something simple and honest, but everyone else is in Bill Murray’s shadow here. While there was a certain amount of fun from playing guess the phone voice (I’d repeatedly convinced myself that Andrew Scott was actually Chris O’Dowd), Steven Knight’s film is little more than a conceit which doesn’t necessarily serve Tom Hardy’s performance as well as it might. 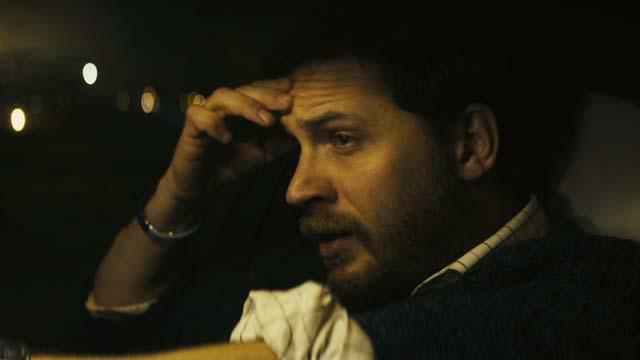 I’m also prepared to overlook the fact that I wasn’t 100% sold by Hardy’s accent, which is generally reliable but no more, in light of how much emotion he generates with so little acting backlift. He was also the best thing in Dennis Lehane scripted drama The Drop later in the year, mildly memorable for being James Gandolfini’s last film. I got into a debate on Bums On Seats, the community radio show I lend my voice to, about the merits of Belle; I turned out to be the lone positive voice. I’m not going to claim that it was a masterpiece but I stand by its merits, and one of its many was the performance of relative newcomer Gugu Mbatha-Raw (hitherto known only to me as Martha’s sister Tish from the third modern season of Doctor Who). There’s plenty of solid support around but Mbatha-Raw carries the dramatic weight of the film and deftly handles both period romance and the film’s dalliances with weightier issues. 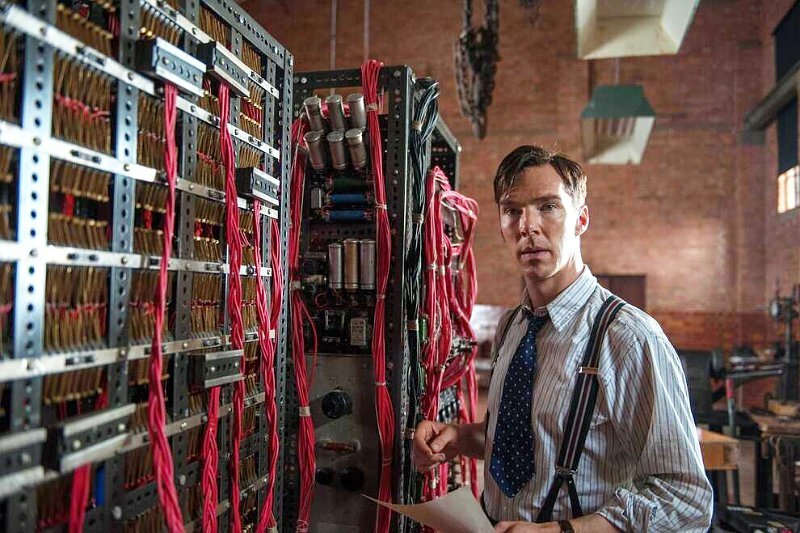 I think that The Imitation Game as a film has a lot of problems, but the acting isn’t one of them. The likes of Mark Strong and Charles Dance do what Mark Strong and Charles Dance generally do best, but the stand-outs are Keira Knightley – even if she is saddled with the poshest accent in acting history – and Benedict Cumberbatch. The man with the most mocked name in showbusiness puts yet another spin on his collection of damaged geniuses and without him, the film would have been a hollow shell. I just hope he manages to get the right balance of Hollywood and Britain moving forward, as both Star Trek and Marvel have already got their claws into him for big franchise roles. 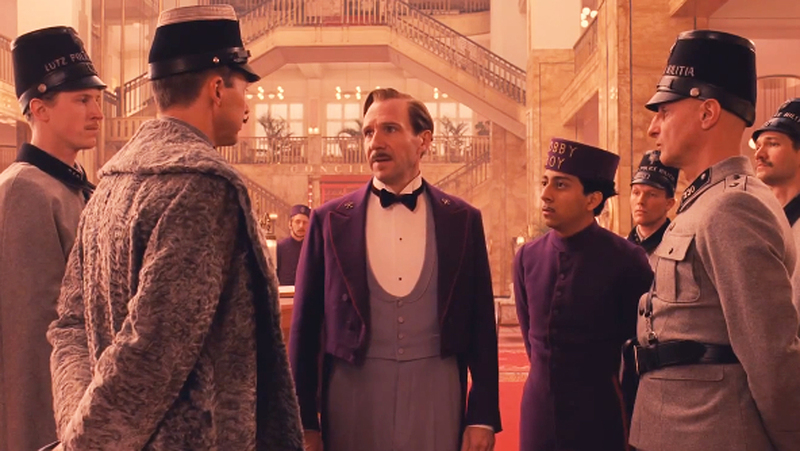 Seriously, why did no one think to put Ralph Fiennes and Wes Anderson together earlier? Delivering some of the most delicious dialogue from any script this year, Fiennes spews out quotable lines with effortless elegance but his performance ranges through a variety of emotions. Ipswich’s finest export since Cardinal Wolsey has been meticulous and sharply calibrated in both his acting and directing for two decades, but he’s achieved most of his best work in dramatic roles. In Bruges might be the closest he’s come to anything like this before, and that’s still a mile off (and no-one who’s ever seen him opposite Uma Thurman in The Avengers will ever forget his discomfort), but he was such a total fit for the Anderson universe that we can but pray it’s not their only collaboration. There’s a myth about the curse of the Bond girl, when in reality for every woman who’s proven herself as a love interest opposite Bond but then gone onto anonymity there’s just as many for whom it’s been but a footnote on an impressive CV. Evidence would suggest Rosamund Pike is likely to fall into the latter category, but her role in Pierce Brosnan’s swansong may have come slightly too early in her career; she’s matured in smaller roles in the likes of Made In Dagenham and The World’s End, but I suspect her role as the object of Ben Affleck’s attention in David Fincher’s trashy delight will one day be seen as career defining. Somehow, despite being cast in a role where she’s consigned to flashbacks before the main narrative has even started, she walks in and waltzes off with the whole film. Lilting is very much a film of actors and performances rather than strong direction, but I have a lot of time for any film prepared to cast Peter Bowles. Ben Whishaw has been quietly going around his business for a few years now, and having impressed greatly in Cloud Atlas and nabbed a role to pay the bills for a few years yet as Bond’s new Q he’s now started to find leading roles that show off his talents. 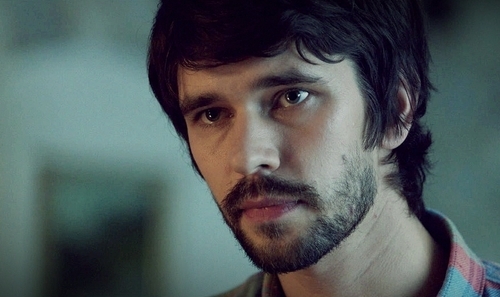 Here he played the troubled man attempting to dealing with the grieving mother of his deceased parter beautifully, an understated role that still demanded Whishaw to have a lot going on just beneath the surface. He capped a good year with a voice turn as a positively perfect Paddington. Here’s a trivia question for your next film quiz: what connects Morwenna Banks, Joan Cusack, Robert Downey Jr., Jimmy Fallon, Christopher Guest, Randy Quaid, Chris Rock and Pamela Stevenson? They’re all alumni of the American comedy institution Saturday Night Live, and while you might at first think of the likes of Dan Ackroyd, Chevy Chase, Bill Murray or Eddie Murphy when you think of SNL, the latest generation are showing they are equally adept at both comedy and drama. The former SNL pairing of Wiig and Bill Hader are by turns heartbreaking and charismatic here, but it’s Wiig as the sister who seems stuck in a cycle of perpetually making poor life choices that makes the greatest impression. I’ve seen two Dardennes brothers films now and for some reason neither has quite gelled with me in the way they seem to have taken others. For reasons I can’t quite pinpoint, I find myself drawn to the deficiencies in their social realism, rather than being taken in by the performances and storytelling. Nonetheless, former Movie Evangelist Performance Of The Year winner and current Movie Evangelist ideal woman Marion Cotillard defies both any shortcomings in Two Days, One Night’s script and also rises above my slightly awkward attempts at stalkerish flattery with yet another winning performance that the rest of the film is constructed around. I have a lot of time for Jake Gyllenhaal, ever since he, Dennis Quaid and Emmy Rossum made The Day After Tomorrow far more watchable than it had any right to be. Why someone who has Donnie Darko, Zodiac, Source Code, Prisoners and Brokeback Mountain on his CV isn’t thought of as one of the best actors of his generation continues to mystify me, but with a mesmeric performance as the manipulative, greasy Leo Bloom Gyllenhaal is getting due attention for the first time since his partnership with Heath Ledger all those years ago. 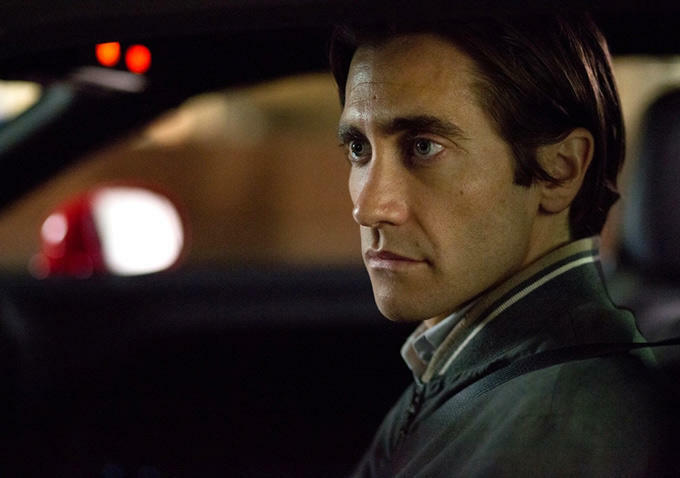 While he was slightly overshadowed even then, here Gyllenhaal dominates ever scene he’s in, which I think is just about all of them. I have a strange and unhealthy fascination with Space Camp, the Eighties Space Shuttle film that’s a reductive mix of Apollo 13 and The Goonies which features a young Phoenix alongside Steven Spielberg’s wife and Marty McFly’s mum. It’s as an adult that the former Leaf Phoenix has impressed, from Gladiator through Walk The Line to The Master, yet in Her it’s ironically a childlike innocence that makes his performance so heartfelt and convincing. Never for one moment do we as an audience doubt or question his commitment to Scarlett Johansson’s AI, all the more impressive an achievement given that Johansson recorded her performance after the fact (it was Samantha Morton on set playing opposite Phoenix). 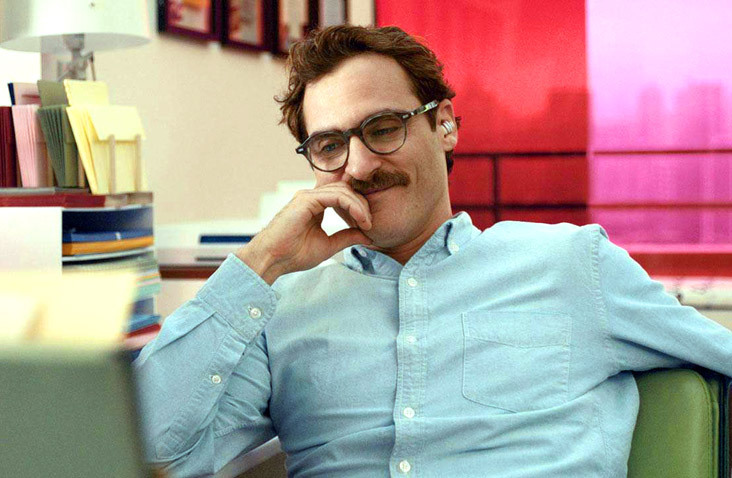 I’m already looking forward to Phoenix’s reunion with Paul Thomas Anderson next month in Inherent Vice. The only woman who ever made a name for herself in a horror movie might have been Linda Blair. 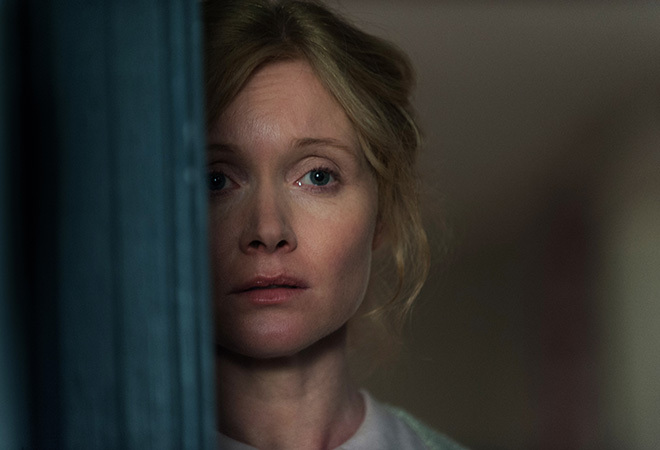 The director who drew out her most famous performance then this year rated The Babadook as the most terrifying film he’d ever seen, and that’s due large part to the anchoring performance given by Essie Davis in the lead role. Selling both the concept and her own gradual mental disintegration, Davis is as key to the success of The Babadook’s icy grip as the reedy-voiced monster. Up to now, the biggest credit Davis had received was probably in the two dire Matrix sequels, but hopefully her performance here will be a stepping stone to more lead roles. Easy to play an emotionless alien struggling to come to terms with the human condition? I’m sorry, I’ll have none of that. The contrast in the opening scenes where we see the original form taken over by Johansson show the contrast clearly, and I’ve been saving up the word fearless for this point in the countdown as Scarlett commits herself to the role with gusto. That’s even before that you consider she was actually out in a wig, cruising the streets of Glasgow with an impeccable English accent, and Under The Skin wouldn’t be featuring at the top of quite so many end of year lists without her. I’ve not always been a fan of Scarlett – The Prestige was my favourite film of the Noughties despite her rather than because of her – but consider me a convert off the back of this. If you’re looking to hand out acting recognition for Steve McQueen’s devastating Best Picture winner, it’s difficult to know where to really start. 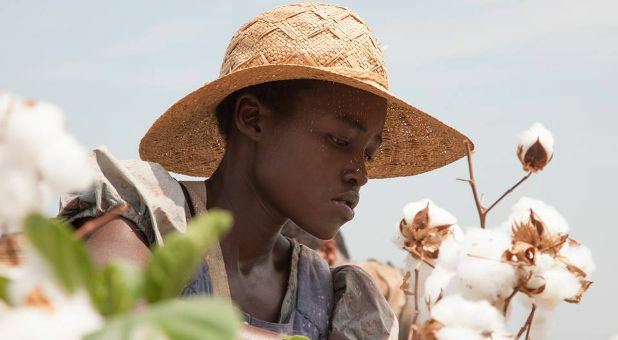 But you should finish either with Michael Fassbender’s horrific plantation owner, Chiwetel Ejiofor’s dignified slave enduring a sort of reverse emancipation or Lupita Nyong’o’s gut-wrenching performance that earned her an Oscar, a job in Star Wars and a role as the Face Of Lancôme. In researching this list I watched two brief, thirty second clips of this Mexican-Kenyan actress’ performance and I was nearly in tears again, almost a full year after having last seen the film in full. I’m planning to watch the film again at some point this week, so will be off to bulk buy soft tissues shortly after completing this post. But there was one performance this year that edged out all the others, a performance that bore the weight beautifully of the two and a half hour film constructed around it and one which will define the image of one of our nation’s greatest painters in the mind of a generation. I would absolutely love it if the award Spall picked up for this at Cannes turned out not to be the biggest prize that he’ll store in his trophy cabinet for this performance, but whatever the outcome of awards season Spall grabbed his chance in the limelight with both hands and created a character that felt as truly human as anyone we’ve seen on screen this year. His Turner isn’t a misunderstood genius, merely an honest, humble man with an exceptional talent and an intolerance for family. Spall has long been a staple of both Mike Leigh films and British television and film in general, and his career as a character actor seemed in hindsight to be building to this moment. His characters aren’t always capturing huge amounts of screen time but so often it’s Spall’s performances that are the most memorable of the works he’s in. 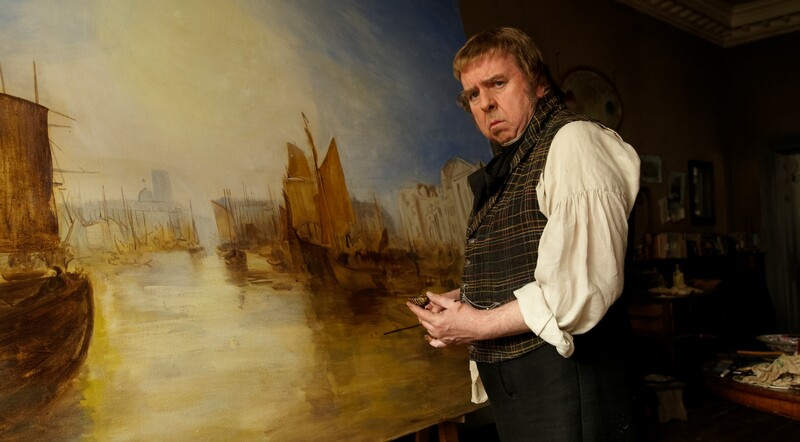 Given full rein to interpret Joseph Mallard William Turner his tics and mannerisms, his gutteral grunts and frustrated groanings might be what play out in the award season clips, but this is a full bodied performance that sees Spall at his very best and made Mr. Turner one of the best British films of the year. Timothy Spall, I salute you and am delighted to declare your performance my favourite of cinema in 2014. This entry was posted in Evangelism and tagged 2014, film, Lupita Nyong'o, movies, performances, review, Review Of 2014, Scarlett Johansson, Timothy Spall.